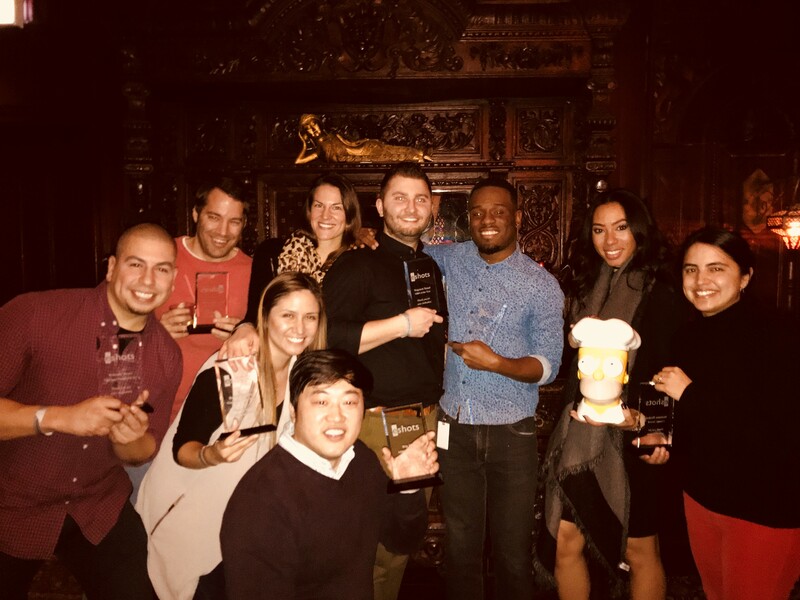 During our recent annual holiday party, we took the opportunity to recognize some of our outstanding employee contributions from 2017. eshots was founded on the principle that people and culture are a company's greatest assets. As part of our commitment to culture, our managers work with their teams to be a positive force for change in our industry, to bring tremendous passion to their roles and to use high-quality data to drive better decision making for our clients. Each year we recognize the employees that best embody those qualities, all of which are featured below. Change Award Winner: Shehaam H.
Passion Award Winner: Pascal W.
Discipline Award Winner: Allison E.
Client Support Champ of the Year: Rolando R.
MBO of the Year Winners: Win T. and Wojciech T.
The MBO/Above and Beyond Award winners earned this distinction for painlessly managing a massive technology transition when we moved into our new corporate headquarters on the 52nd floor of Chicago’s famous Aon Center. A weekend office move can be difficult for a technology company that supports Saturday and Sunday client activations, but thanks to their hard work this move went off without a hitch. Rookie of the Year Award Winner: Clyde G.
The Rookie of the Year Award goes to Production team member Clyde Gordon. This award is given to a new staff member who made the greatest contribution towards achieving our corporate goals, representing our cultural values and maintaining a great attitude. According to his colleagues, Clyde’s “dedication, commitment, perseverance, and willingness to keep pushing,” have been critical to the team success. Employee of the Year Award Winner: Britany T.